Riassunto: The death penalty has largely disappeared as a national legislative issue and the Supreme Court has mainly bowed out, leaving the states at the cutting edge of abolition politics. This essential guide presents and explains the changing political and cultural challenges to capital punishment at the state level. 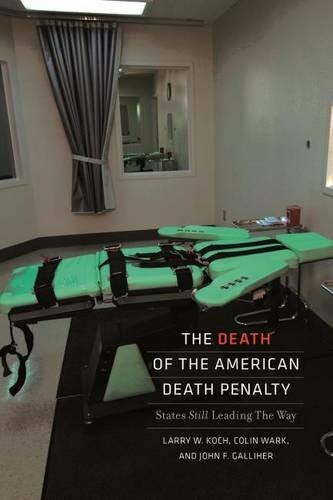 As with their previous volume, America Without the Death Penalty (Northeastern, 2002), the authors of this completely new volume concentrate on the local and regional relationships between death penalty abolition and numerous empirical factors, such as economic conditions; public sentiment; the roles of social, political, and economic elites; the mass media; and population diversity. They highlight the recent abolition of the practice in New York, New Jersey, New Mexico, and Illinois; the near misses in New Hampshire, Connecticut, Maryland, and Nebraska; the Kansas rollercoaster rides; and the surprising recent decline of the death penalty even in the deep South. Abolition of the death penalty in the United States is a piecemeal process, with one state after another peeling off from the pack until none is left and the tragic institution finally is no more. This book tells you how, and why, that will likely happen. L'autore&colon; LARRY W. KOCH is an associate professor of sociology at the University of Michigan, Flint. COLIN WARK is an assistant professor of psychology and sociology at Texas A&M University, Kingsville. JOHN F. GALLIHER is a professor of sociology at University of Missouri, Columbia. Koch, Larry W.; Wark, Colin; Galliher, John F.
Koch, Larry W./ Wark, Colin/ Galliher, John F.